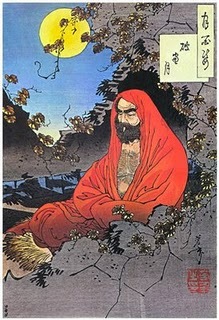 The Zen teacher Chuang Tzu dreamed he was a butterfly. When he woke, he wondered, "Am I a man who dreamt about being a butterfly, or am I really a butterfly who now dreams about being a man?" The fundamental question regarding the nature of reality is partly philosophical, partly spiritual, part psychological, and partly scientific in nature. But it is not merely academic. For how we perceive, understand, experience, interpret and respond to reality has concrete and practical repercussions in both our intrapersonal and interpersonal relationships, for the practice of psychotherapy, as well as regarding how we relate to the planet and cosmos. Last year, I posted a few thoughts on the topic of subjective or relative reality. As we enter 2010, it seems an opportune time to review what was said, and continue the conversation here on what is real and what is not. I invite readers to share their personal insights and realities in response. This discussion started explicitly with my piece on "Truth, Lies, and Self-Deception," stimulated by the psychologically complex Casey Anthony case. The theme resurfaced in response to postings by fellow PT bloggers William Todd Schultz and Nathan Heflick regarding the complicated Freud-Jung relationship. It later informed one of my subsequent posts titled "What is Real Psychotherapy?" And it can be seen as implicit and central to my most recent postings about Islamic terrorism, since clearly the perception of reality underlying and motivating the tactics of Muslim extremists is fundamentally foreign to the perception of reality here in the West. These sometimes radically differing realities are at the very root of most hostile relationship, religious and political conflicts. As with the difficult task of defining reality in any relationship, Freud's interpretation of what went wrong between he and Carl Jung and why was radically different than Jung's own perception. My interpretation of why Freud's friendship with Jung foundered is different than that of professor Schultz. And all three of us--myself, Schultz, Heflick and the entire mental health field in general--have divergent ideas as to what defines "real" psychology and psychotherapy. Can we all be right? Or is there one overarching, supreme objective reality that either all or some of us are missing? Is all reality relative? Who gets to define reality? Is reality merely something constructed by us as opposed to having a reality of its own? Does the postmodern deconstruction of reality lead to a loss or destruction of any objective reality? The implications of these admittedly heady but highly pragmatic musings are staggering for the practice of psychotherapy and the future of psychology. So let's get right to it. For me, reality is something both subjective and objective. What I mean is that objective reality, say the existence of the physical universe, does not necessarily depend on subjectivity to be real. But then, subjective reality, say the experience of an emotion, impulse or dream, doesn't necessarily depend on objective reality for its existence. The subjective world is as real as the objective world. Both have their own reality. One is not "more real" than the other. But when subjectivity trumps objectivity, or vice-versa, we get into trouble. When hallucinations or delusions, for example, become so real for a person that they overpower and nullify objective reality, we call this dangerous state of mind "psychosis." And when objective reality totally dominates subjective reality, we lose touch with who we really are. Interiority and exteriority are two sides of the same coin we collectively call reality. Interiority is associated with introversion and subjectivity; exteriority with objectivity and extraversion. Too much of either can become pathological. In our culture, when this boundary between interior and exterior reality becomes blurred or lost completely, we typically tend to view it as severe psychopathology. Such extraordinary but profoundly imbalanced states of mind can be extremely debilitating and potentially dangerous to both self and others. But this non-dichotomous or non-dualistic mental state has also been traditionally associated with spiritual enlightenment as well as artistic creativity. As Pablo Picasso put it, "Everything you can imagine is real." Psychiatrist Carl Jung once made unequivocally clear to a supervisee his assertion that when a particular patient had dreamed about being on the moon, she was really on the moon. What did Jung mean by this? 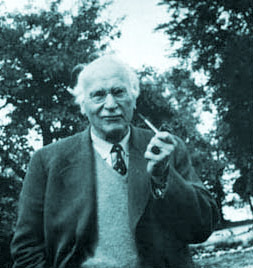 Having himself suffered through his own traumatic period of confusion between inner and outer reality, Jung came to recognize that reality does not include only the outer world, but the inner world as well. And that what we collectively agree to call consensual objective reality is no more important or real than our subjective, inner reality. The truth is we live in two different worlds: the outer world of objective reality and the inner world of subjective reality. Jung went so far as to refer to aspects of our inner reality as the "objective psyche," emphasizing both its relative autonomy from ego-consciousness and its inherent universal or archetypal reality. While the physical laws of outer and psychological laws of inner reality differ, both are vitally important in daily life. Like the Zen master who poses to his disciples the reality-testing koan or didactic question, " When a tree falls in the forest, does it make a sound if no one is around to hear it? 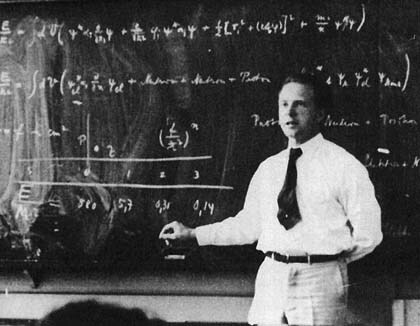 ", Werner Heisenberg's basic contribution to quantum physics, writes one commentator, "would imply that reality is created by the observer; in other words: if we take Heisenberg literally, the moon is not there when nobody is looking at it. However, we must consider the possibility that . . . the moon may be there after all. This conflict is the philosophical essence of the Uncertainty Principle." Phenomenology is a philosophical method or technique we use in existential psychotherapy to try to get closer to the patient's subjective truth or reality. This requires being conscious of and setting aside our usual preconceptions and biases (or at least recognizing them as such) as much as possible when we encounter the patient, so as to be able to comprehend and experience more clearly his or her subjective reality. Cognitive psychology--which focuses primarily on how we think--understands that our subjective experience of outer reality depends largely on how we interpret objective reality. Two individuals can witness the same external event, but interpret and perceive it totally differently, depending on how they think about or cognitively process it. (See my previous post on self-deception.) "For there is nothing either good or bad, but thinking makes it so," says Shakespeare's Hamlet, who echoes Epictetus from the first-century A.D.: "Men are not influenced by things, but by their thoughts about things." So reality may not be as objective as we once believed. But recognizing this unsettling possibility is a far cry from the postmodernist rejection of the existence of objective reality out of hand. This throwing out the baby with the bath water regarding reality is employed, for example, by some psychotherapists to negate the need, clinical utility, reliability and validity of psychiatric diagnosis. Certainly, various contextual influences and subjective factors come into play when supposedly objectively diagnosing mental disorders. To not recognize this reality would be naive. This is why diagnosis in psychiatry and psychology, like psychotherapy, is really more of an art than a science. (Which, for me, is not a pejorative but rather realistic statement.) Similarly, neo-Freudians (see, for example, Dr. Robert Stolorow's work on intersubjectivity) are just recently acknowledging that the analyst is not the sole arbiter of objective reality in the therapeutic relationship. So we psychologists are slowly starting to recognize the limits of our understanding about reality, our unconscious biases, and to reconsider reality's very nature. One radical reaction to this recognition of reality's relativity and partial subjectivity is to reject any and all prior claims to our capacity to know reality, and, in some circles, to deny objective reality altogether. This is a type of psychological solipsism: refusal to recognize the objective existence of reality beyond the mind or psyche's subjectivity. But the solution to this dilemma does not call for or warrant such extreme rejection of our capacity to apprehend reality because of our becoming more aware of its inherent uncertainty and complexity. On the contrary, reality consists of both objective or external phenomena and subjective, internal experiences which are constantly acting upon and influencing each other. (See Part Two.) Denying either is a simplistic, cowardly and convenient reconstruction of reality as we would like it to be, rather than a courageous, organic acceptance of reality as it truly is--in all its glorious ambiguity and mystery. At it's simplest, life is the consciousness/desire of the mind. All human Reality is, at it's simplest, Birth - Aging -Death. Memory follows consciousness/desire and creates the EGO. The EGO is the Identity & Sense of Self of the individual. The walls of human life are pleasure/satisfaction & pain/suffering. We seek one and avoid the other until Death.